- weave patterned bands without any pattern draft, similar to how bands have been woven in the past. 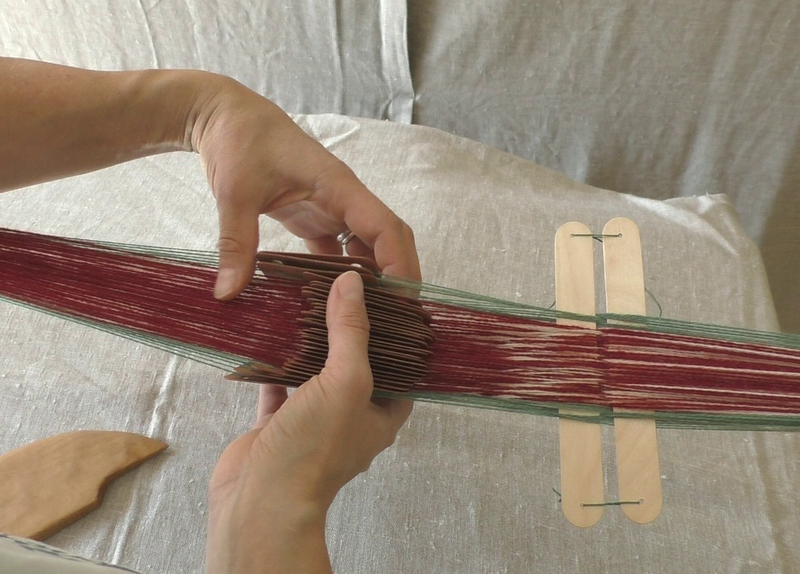 This workshop may even take you to the basics of weaving 3/1 broken twill - the type of patterning used in the most complex of medieval tablet woven bands. Workshop start is Friday, January 18, 6 pm; you can arrive at the house from 2 pm. The workshop ends on Sunday, January 20, at 4 pm. If you are travelling by train, a shuttle service from Liège to Méry on Friday and back on Sunday is possible. 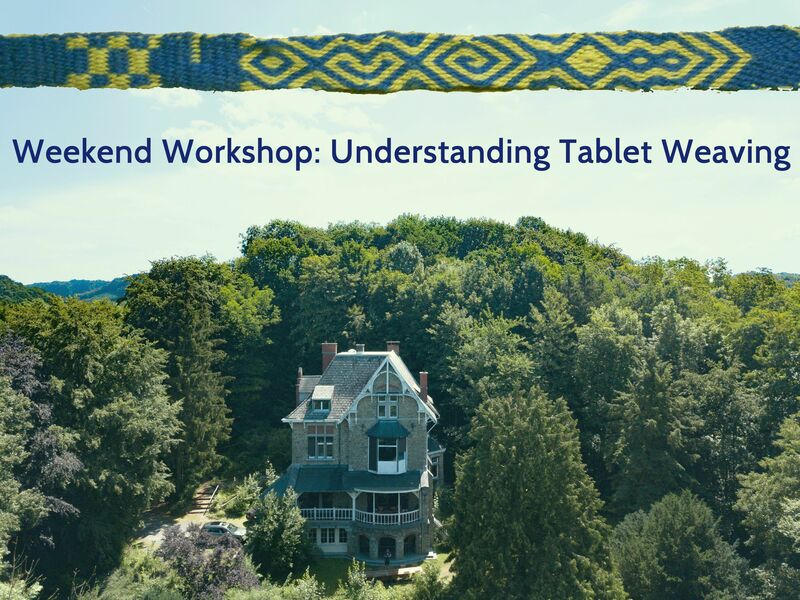 The workshop takes place in the stunningly beautiful house Merveille de Méry, Belgium. It is a 19th century house that has been lovingly restored. (You can see more photos of the house here.) There are 7 rooms with twin beds available. The workshop is restricted to 12 participants as maximum number; minimum number of participants is 8. We will have a room dedicated to weaving; there is a cosy living room and a spacious dining room for taking breaks from your textile work, and beautiful surroundings if you would like to take a walk. Full price per person is 425 €. If you book before December 10, you get our Early Bird price of 395 €. If you have a non-weaving partner or friend that would like to come, we have a limited number of spots for partners. You will share a room; the additional person costs 175 € for the weekend, meals and drinks also included. More information and registration through the official Pallia website.